When we think of a detox, most of us think of a slightly unpleasant and restrictive period marked by frequent bathroom visits, all done to rid the body of toxins built up overtime. 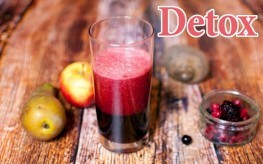 While many detoxes can be unpleasant, they are ultimately helping to improve your health. Still, there are several things you can do that will encourage consistent and gentle detoxification, things that you can add to your daily routine to ensure your body is working to stay healthy and un-phased by the toxins in the environment and in your diet. Our body becomes laden with toxins primarily from the things we consume through food, water, breathing, and the things we come in contact with. These toxins– in the form of pesticides, pollutants, heavy metals, and more—can have seriously negative consequences on our bodies, leaving us feeling lethargic, ill, and even encouraging disease. In its natural and healthy state, the body works to rid itself of these toxins. From filtering the blood, to sweating, and eliminating through digestion, the human body is a fine-tuned detoxifying machine when left to its own devices. Still, encouraging the healthiest state for detoxification can only help the process along. Through sweating and regular exercise, you activate the lymphatic system which in turn affects digestion, immune health, and circulation. Because the lymphatic system doesn’t have a pump (like the heart) to move lymph throughout the body, it depends on your activity levels to keep things in motion. In addition, sweating is perhaps one of the best ways to detox. Some heavy metals detox better through sweat than they do through urine or blood. Also, it clears toxins from the pores and encourages healthier skin. Juicing fresh organic vegetables and fruits is a great way to give your digestive system a bit of a break while speeding the delivery of healthful nutrients including antioxidants. Juicing gives your body a chance to “reset” itself and find that natural detoxifying balance—where it works effectively to naturally rid the body of contaminants. Hydration is important for all of your body’s natural functions, including detoxifying. If you aren’t drinking enough water, the toxins you take in through food are lingering in your digestive system until they are pushed out. Like fiber, water helps you keep things moving, so to speak. Filtered water is the best choice, as tap water often contains the very things you are trying to get rid of, like fluoride. Some foods and herbs have natural detoxification properties. Including these in your diet is easy and can create an environment where toxins aren’t welcome. Parsley, cilantro, chlorella, apples, and dark green vegetables including kale and spinach can all help you on your detox lifestyle. I have heard good thing about this, mostly from using and infrared sauna. where could one get the blanket? The fruits in the southern hemisphere of the Americas this very contaminated germicides, insecticides, pesticides and fertilizers .. apples taste like medicine, pears smelling insecticides … Still missing genetic modifications group monsanto. So is poison to eat ..